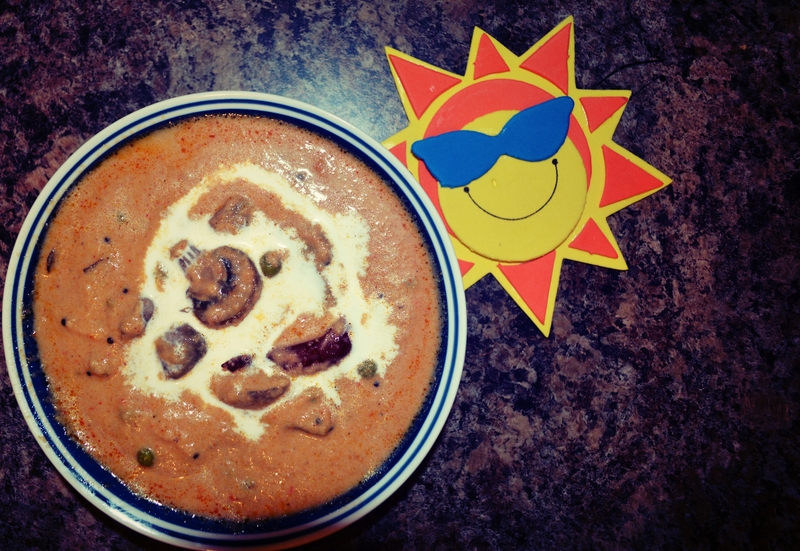 Mouthwatering Monday – Mushroom Matar Makhni | My Journey So Far…. 8 oz / 227 gm Mushrooms. Washed and chopped. Blend Onion, Ginger and Garlic into a smooth paste. Make a paste of Tomatoes too. Heat oil in a pan and saute chopped Mushrooms in it, till they leave their water and become light golden in color. Remove Mushrooms from the pan and keep them aside. Heat 1 tbsp oil in pan, and add Ginger Garlic Onion paste to it. When it’s thoroughly cooked, add tomato paste to it and saute. Add all the spices and cook them on medium-low heat, till oil leaves from side. Add cashew paste and let it cook for 2 minutes. Add salt. Mix water as per desired consistency of gravy. Add Mushroom, Matar, crushed Fenugreek leaves, and let it cook on medium heat for 5 minutes. 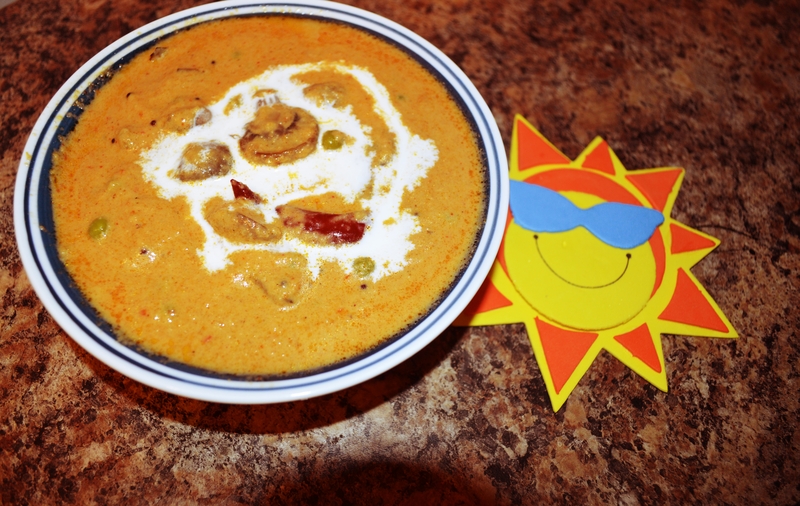 Mix cream gently to whole gravy and take it off from heat. You can use julienne ginger or cilantro for garnishing. It’s damn yummy, but remember this one has lots of calories in it. For the healthier version, use low fat cream, and don’t use cashews 😦 , reduce amount of oil to half and that’s it.